Feng Tang is a surprising cocktail: gynecologist, consultant, entrepreneur and investor; author of stories and poems; a criticized translator, a hit songwriter and a host of reality TV shows !! 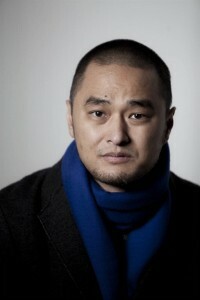 Zhang Haipeng, his official name, was born in Beijing 45 years ago. He wrote very early and even 17 years old a first novel. At that time, China’s development was in full swing, one must make money, he will thus follow medical studies at Peking Union Medical College from 1990 to 1998 where he specialized in gynecologic oncology. He wrote a Beijing trilogy: “A girl for my 18 years”, “Everything grows” (in french, “Qiu comme l’automne”) and finally “Beijing, Beijing”. He will eventually finish “Everything grows” in 2000 after an MBA in the US, in Atlanta at Emory University. Recruited in Beijing by Mc Kinsey, the famous consulting firm, he leads an overburdoned life seen the workload in this business. Nevertheless he writes novels, short stories, essays, and also manages a blog as from 2005. He joined a conglomerate (China Resource Group) and became general manager of the subsidiary (CRM) that invests in public hospitals in order to modernize them. The chairman of the group is accused by the anti-corruption body of the Communist Party and has to leave. Feng Tang, who loses his main support, resigns from his job in July 2014. He wants a life that allows him more time for literature. In September 2015, he became general manager in charge of investments in the health sector in a subsidiary of an investment fund of $ 5 billion, CITIC Capital Holdings Ltd. These three books have been very successful both in China and Taiwan. Feng Tang is compared to Wang Xiaobo ( whom he does not like) or Wang Shuo, the bad boy from Beijing. The press even speaks of Henry Miller, perhaps to justify certain future excesses of our author. Two books translated into French in 2007 by Sylvie Gentil and published by Editions de l’Olivier; the third, “Beijing, Beijing”, only available in English, has been recently translated by Michelle Deeter and published, this must be emphasized, by Amazon Crossing, which in less than five years has become the largest publisher of translated books in the United States. This trilogy is still in the mind of the Chinese public. “Beijing, Beijing” sells between 100 and 200 000 copies per year and “Everything grows” was made into a film in 2015 by Li Yu as “Ever since we loved” with the star Fan Binbing. These coming of age novels of high school and medical students have common themes: priority is the awakening and emotional and sexual development of the characters. This allows for infinite variations but does not really justify a total of 930 pages. The beer crates follow beer crates and studies or professional future are obviously not the priority. Teachers and parents are only useful to take our heroes out of some awkward situations. The socio-economic environment has no place, politics does not exist. History is not a reference but literature gives rise to many cultural quotations. The author seduces us with his sense of humor, often somewhat smutty or even scatological. We are among medical students with their jokes! The tone is lively and playful. One turn in circles, there is no plot, no dramatic progress but we never get bored. The author has a good feeling for images, short scenes and freedom of tone; it is the insolence of an iconoclastic generation that rejects the foundations of the existence of their parents. In 2011, Feng Tang publishes in Hong Kong “Oneness”, a semi-pornographic novel, set during the Tang dynasty, on unorthodox ways for monks and nuns to achieve enlightenment! The book is banned in China but was a considerable success in Hong Kong with 100,000 copies sold. In China, Feng Tang is now well known. He has 8 million followers on Weibo (Chinese Twitter) and manages a popular TV reality show “Go to love.” After writing the song for the film “Ever since we loved”, he recently signed an exclusive agreement as a song writer with BMG, a subsidiary of Bertelsmann !! His latest work has created an impressive buzz and has been withdrawn from sale. Bengali poet Rabindranath Tagore is well known and respected in China, he was in 1913 the first Asian Nobel laureate and his poems are studied in colleges. Two translations were available of collections by R. Tagore. Nevertheless, Feng Tang translated “Stray Birds”, a collection of over 300 poems in three months in California, with the help, as he said, of a lot of wine from the Napa Valley. Part of the press and academic criticism has been unleashed by calling his work vulgar and even pornographic. The scandal was considerable and this is not the first time that R. Tagore creates problems in China. His visit in 1924 had greatly irritated the leftist writers! The controversy seems to relate to a limited number of poems but he does not seem to have many supporters apart from Li Yinhe, the widow of Wang Xiaobo. In short, the book was withdrawn from sale but this censorship has done much for the reputation of Feng Tang !! (1) Feng Tang, “Qiu comme l’automne”, translated by Sylvie Gentil. Editions de l’Olivier, 2007, 310 pages. (2) Feng Tang, “Une fille pour mes 18 ans”, translated by Sylvie Gentil. Editions de l’Olivier, 2009, 250 pages. 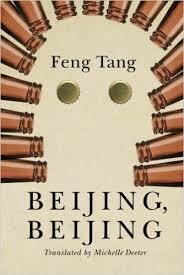 (3) Feng Tang, “Beijing, Beijing”, translated by Michelle Deeter. Amazon Crossing, 2014, 370 pages.